For the light, natural feel of Merino wool, with advanced moisture management and a patented cooling system ideal for hot, bothered walking feet, it would be tough to better these insulating, protective X-Socks Merino Isolate Trekking Socks, Swiss engineered and Italian crafted to create an optimal ‘barefoot climate’ with thermo-regulating and stabilising technology woven in. 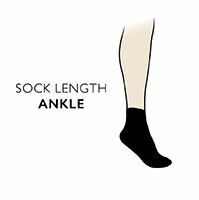 X-Socks Merino Isolate Trekking Socks feature what they call an ‘Advanced Foot Protection System’ with cushioning zones placed throughout to prevent chafing and complement sturdy alpine and trekking footwear. The patented X-Cross Bandage ensures the highest ankle stability, and air chambers cushion and warm the arch muscles, while X-Sock’s AirConditioning and AirFlow ventilation systems ensure cool, dry feet. Activ-Bund perfect hold cuffs and flat toe seams protect against irritating, distracting pressure injuries.